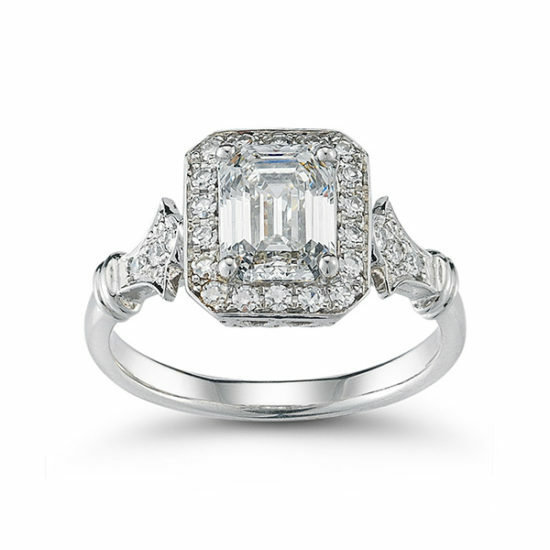 This is our Douglas Elliott Vintage Reprise Engagement Ring Setting with an Emerald Cut Diamond set in Platinum. Especially gorgeous in an Emerald, Ruby or Sapphire. This setting is also available in Rose Gold, Yellow Gold and Green Gold.